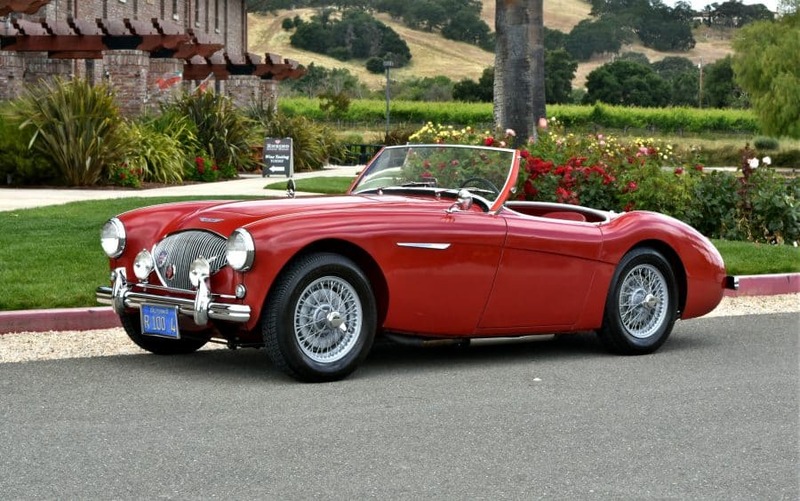 Rare “survivor” 1956 Austin Healey 100-4 BN2, garaged California car, factory-original paint, 100% factory original metal, zero rust anywhere. Surely one of the finest original examples of the legendary 100-4 BN2 worldwide. Original undercarriage paint is amazing condition; excellent original interior; excellent original top (with clear rear window! ); original California yellow license plates with original dealer license plate frames from Oakland California. Our lead tech has worked on probably 300 Austin Healeys in his career, he says he has never seen one with original paint in this condition. Original owner’s manual signed by Donald Healey in 1977. One of the finest original BN2 Healeys in existence.